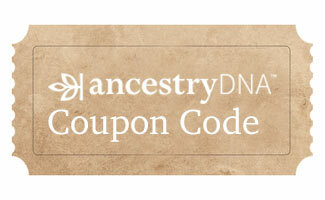 Home > Reader Question > AncestryDNA Coupons and Discounts? After reading your reviews on the best DNA test providers I’ve decided to go with AncestryDNA. However, as is often the case with online merchants, upon checkout I’m greeted with a “coupon code” option. Why do they include this? All it does is make me search for a discount. So here I am, asking (and hoping) that you guys have some sort of AncestryDNA promotion you’re willing to share with me. Thanks! AncestryDNA is a service that allows you to look back in time through your genome to find out who you are, where your ancestors came from, your family tree, etc. We wrote a large review of the top providers you may want to check out. Because the tests are comprehensive and not inexpensive, we are more than happy to share current coupons and promotions. Click here to automatically have the latest discount applied. Our readers are welcome to share their own Ancestry promos in the comments below. Ancestry.com, the company that owns Ancestry DNA, was acquired in 2012 for $1.6 billion by Permira. That should give you an idea of the value of human genomes! They received an additional $1 billion investment from Silverlake and GIC in 2016. Ancestry.com offers extensive databases, resources and navigation tools, and their historical records exceed 16 billion entries, some of the largest in the industry. Find out more about them in our Ancestry.com Review. AncestryDNA is their flagship DNA product that can pull over 700,000 genetic markers from your saliva (using a cheek swab). Their database consists of over 3 million DNA samples, which give access to millions of family trees. They are currently the largest online DNA community and offer a New Genetics Communities feature that helps you find where your ancestors recently lived in North America and where they migrated from. Valentine’s promo $59 kits through midnight EST on 2/14. Click here to take advantage of the offer. Black Friday/Cyber Monday Deal: AncestryDNA price drop to $49 (was on sale for $59) through midnight on 11/26 Click here to take advantage of the offer. THANKSGIVING OFFER Up to 40% off ancestry tests through November 22nd Click here to take advantage of the offer. Ancestry DNA is having a summer sale, get the AncestryDNA test for only $59! This is 40% off the usual price and ends August 21st at 11:59PST. Click here to take advantage of the offer. In celebration of DNA Day 2018, get the AncestryDNA test for only $59! This is the lowest price of the year and the promotion ends April 29th. Click here to take advantage of the offer. I’m a bit confused by Ancestry.com’s offerings. Did they just get lucky with their name, or do the names of their products actually make sense? To be clear, I’m interested in a DNA test that can help identify my famous ancestors (I’m awesome, so I know they must be plentiful). When I click on your AncestryDNA link, I don’t see a discount factored in. Can you guys just provide me with an Ancestry.com DNA coupon code I can plug in when I checkout please? My 12 year-old son is really curious about our ancestry and has been asking a lot of questions. He just got done with a family tree project for school and now he’s trying to research more about our family. As his parents, we thought it’d be a fun gift to give him for his upcoming birthday in December. Does anyone have an AncestryDNA Black Friday discount or coupon code we could use to save a few dollars? Thanks in advance! The promotion linked above is currently the best one. When Black Friday rolls back around we’ll be sure to update with the best deals for that weekend.